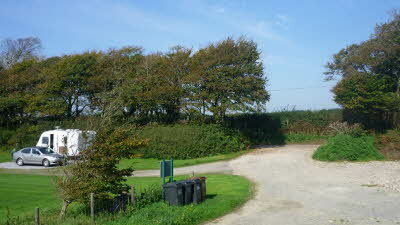 Coldharbour CL is a quiet site, set on a small farm, two fields away from Devon Wildlife Trust woodland. 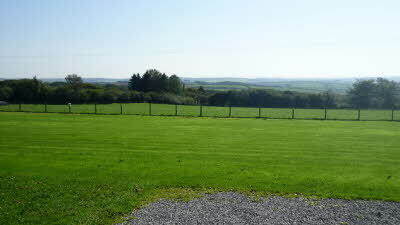 There are far reaching views to the south towards Salcombe and the sea. The site itself is 0.5 acre with three hardstandings along the hedge line and the rest of the site is very gently sloping grass. 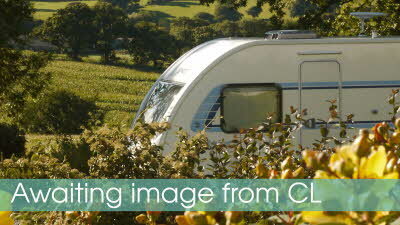 Each pitch has an electric hook-up and plenty of space for an awning etc. There is a chemical toilet point, water taps and a recycling area. Children and pets are welcome; although there may be sheep in the adjoining field, so please keep dogs under control. A mile down the road at California Cross is a petrol station with a convenience shop and a local pub and restaurant, which has won Devon Life awards in the past few years. The Georgian town of Modbury is three miles away, with a health centre, pharmacy, co-op food store and a range of shops including a delicatessen, hardware store, butchers and post office. 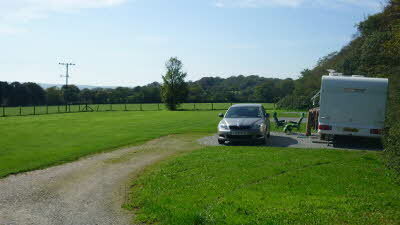 Coldharbour Farm is situated centrally in the beautiful South Hams. 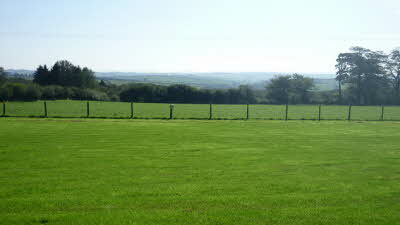 The farm is six miles from Bigbury-on-Sea, Bantham and the South West Coast path with its stunning scenery. It is a similar distance from the southern slopes of Dartmoor, with a wealth of opportunities to enjoy the equally beautiful moorland terrain. Andrew's Wood is the Devon Wildlife Trust woodland which adjoins Coldharbour Farm, providing a wildlife haven for dormice, bats including the greater horseshoe, and woodland birds. It is also a nationally important site for heath lobelia, having the largest population of only six sites in the UK. Within a mile of Coldharbour, at Blackdown Rings, the remains of a medieval fort can be seen, as well as panoramic views. Whether you are keen to play golf on the local courses including Thurlestone and Bigbury or try watersports at Salcombe, Dartmouth or Plymouth, you are spoilt for choice! Coarse fishing is available at Emperor Lakes less than a mile away. 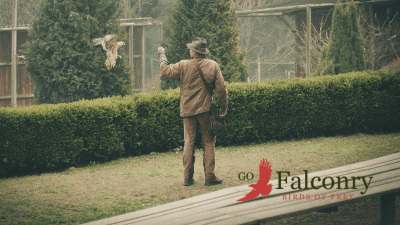 For the children, Woodlands Adventure Park and Pennywell Farm are both within 10 miles, and both have many attractions whatever the weather. 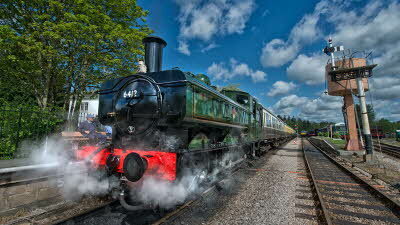 For the railway enthusiast there is a steam train running from Buckfastleigh to Totnes and back. This seven mile former Great Western Railway branch line, built in 1872, runs along the stunning valley of the River Dart between Buckfastleigh and Totnes. The steam trains offer wonderful all day, all weather attraction for people of all ages. £1.00 off standard adult and Senior Citizen fares, £0.50p off standard Child fares. Just returned from spending 3 nights at this lovely CL. We booked this as a stopover after getting off a late evening ferry at Plymouth. Unfortunately we were informed by Brittany Ferries that the A38 would be closed that night for road works which meant we were relying on maps and sat nav for directions. Those having been to Devon before will know how narrow some of those lanes can be!!!. We contacted the CL who very helpfully texted us some alternative directions from Plymouth avoiding the A38. The B3196 approach road does need care where it narrows but there are passing places. Arriving in the dark does help with headlights warning of approaching traffic. 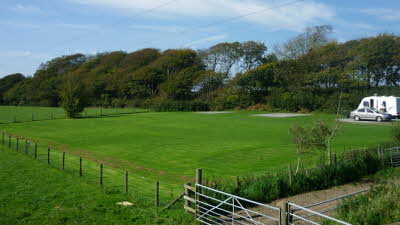 Our pitch was clearly marked on our arrival and we were soon pitched up and settled even though it was very dark. We were recommended The Ship Inn at Ugborough the following evening which was very good. The CL is well laid out and spotlessly clean. We would definitely return if we are ever back in this area. Wonderful Site, Beautiful Scenery, great CL for all. We spent Easter 2017 here, it was a beautiful weekend weather wise and the scenery was amazing from the caravan, across rolling fields down the valley. Got to watch the sheep round up and feeding, which the 8 year old really enjoyed! 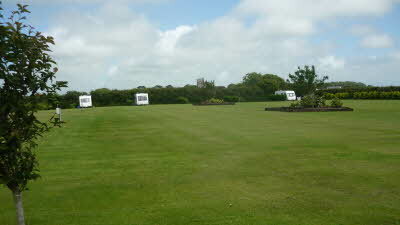 When we arrived there was a board up on our pitch with our name on and pitching was really easy. We pitched so the large front window overlooked the fantastic view, but next door pitched sideways on, plenty of room either way. Water, waste and recycling facilities available. Location is great, some narrow roads getting there but plenty of passing places, its quiet but close to a few good pubs and some great walks near the coast. 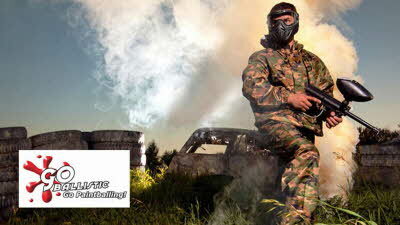 We will go back for sure! We phoned up early in the evening to see if this site had a space for a single night while we were touring - how lucky for us that they could accommodate us. 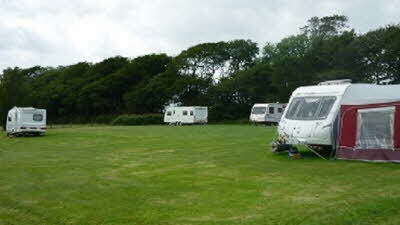 Our pitch was on grass and a little sloping, but nothing the ramps for our motorhome couldn't manage. As other reviewers have said, the view is absolutely stunning. The site owners were extremely friendly and we could have stayed and chatted for ages if we didn't have to be moving on. I would most certainly recommend this for a peaceful, secluded site close enough to the South Devon coast for easy access to the hustle and bustle during the day if you want it. Absolutely first class.